We are deep into fall now, and November is nearly here. As we near Thanksgiving, we think of the time we will be spending with family and friends. Thanksgiving is not just a yearly celebration, it is a chance to look back over our year and remember the people and things in our lives that we are thankful for. We are so stressed out, worried, harried, pushed for time and resources that we forget that there are many things we have to be thankful for. I first saw this saying on a plaque in a gift store. My daughter bought it to put up as a reminder to herself that no matter what was going on in her life, she had many good things too. Hopefully, the good will outweigh the bad, but if all you see is bad, then stop and try to find something that makes you thankful. It doesn’t have to be big. Maybe the way a friend smiles at you, or your pet that is always there to greet you is something you can be grateful and thankful about. I’m not being a Pollyanna when I say that if we look for the good we will find something. With these thoughts in mind, I thought it would be fun to have families come to the library and create something that reminds them of the things they are thankful for. 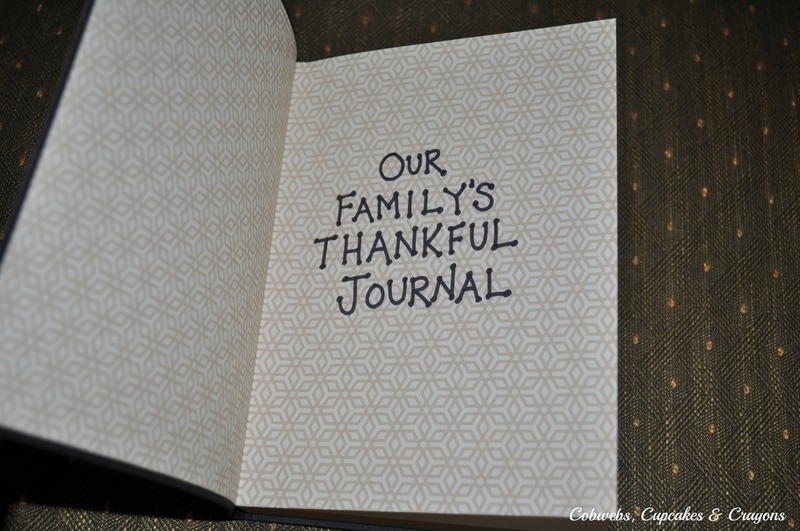 Irvington Library will be having a program on Wednesday, November 12 at 3:30 P M where will create a “Thankful Journal” which everyone in the family can contribute to. It is a chance for each family member to express themselves, and remember the good things they are thankful for. We will be handing out free tickets for this event 15 minutes prior to its start. Niles Library is also having a program for families to express the things they are thankful for. There we will be creating a “Thankful Tree” with each leaf expressing someone or something we are thankful for.That program will be held on Tuesday, November 18 at 3:30 PM.Space is limited, so seating will be available on first-come basis. I hope you and your family will be able to participate in one or both of these activities. Remember, all events are free, and supplies will be provided. If you are unable to make these events, then maybe you can have a family project over the Thanksgiving holiday. Go online and put in “Thankful Journal” or “Thankful Tree” and you will find images and instructions which will help you design your own. Whatever you do, try to take some time to remember the things that you are thankful for! Reblogged this on Tewksbury Townie.